Betel leaf has amazing health benefits and medicinal uses. Betel leaf is such a part of our life that it is there in every important occasions. We use it in our prayers, in home remedies, for welcoming our guests and in all our ceremonies. Betel leaf is called vetrilai in Tamil, paan ka patta in Hindi and it’s botanical name is Piper Betle. When I was younger, I used to love sitting near my great grandmother and watch her expertly make paan in the afternoons. We kids were strictly not allowed paan (homemade paan made without tobacco is actually very good and aids in digestion) but my great grandma used to take tender betel leaves, remove only the end part and give it to us to chew. Betel leaf plant is a perenial climbing vine with beautiful heart shaped leaves. There are more than 2000 varieties of betel leaf plant and you can use any variety that you get. According to me every home should have betel leaf in their garden. Since betel leaf is a creeper you can easily grow it as an ornamental plant like money plant. If you happen to visit any rural village in Tamil Nadu, chances are you will definitely find at least one person with small betel leaf pieces stuck to both sides of their temples. This remedy has been long used for treating sinus headaches by us and is quite effective. Chewing betel leaf also is a tradition that has been followed for thousands of years and many associate betel leaf for only making paan. According to my humble opinion most of us are ignorant of the wonderful benefits of this amazing plant and should try to make use of it’s wonderful benefits. Betel leaf treats ear infections, headaches, stomach pain and even insect bites. Betel leaf compress can be used to treat stomach pain in young babies. Red betel leaf is said to control blood sugar levels in diabetic patients and betel leaf chewing is said to increase the metabolism and aid weight loss though no studies have been done to prove it. Betel leaf is spicy so people who are suffering irritable bowel syndrome and acidity should be cautious while consuming betel leaf, for them I would suggest consuming the tender betel leaf which is not spicy. Some varieties of betel leaf are less spicier than others, you can choose them if you are suffering from acidity. Usually betel leaf by itself does not cause any side effects only if it is had in the form of paan that is has some side effects. Though it is common in our place for pregnant women to chew on betel leaves, I would suggest to stay away from it as the paan is usually made with betel nut and slaked lime which might not agree with everyone. Where To Buy Betel Leaf? Betel leaf is readily and cheaply available all over india as it is widely used in prayers and for making paan. Nowadays paan is sold in every nook and corner, I would suggest making the paan yourself at home if you feel like having one. If you are buying it ready made from the shops make sure it does not have any form of tobacco in it. Betel leaf can be stored for up to 3 days in the refrigerator wrapped in a thin cheese cloth. My co sister uses this remedy regularly and she was the one who taught me this remedy. You will be amazed at how effective this remedy is for gastric problems. We use betel leaf, omam (carom seeds) along with a pinch of salt for this remedy. When we are bloated which is usually the case after large greasy meals or eating out a lot, we burp a lot, experience uneasiness, sluggishness, lack of hunger and bloating. This remedy with betel leaf will work well for all these symptoms. Both carom seeds and betel leaf by themselves are very good for treating indigestion but when combined together it makes a very effective home remedy. Making this remedy couldn’t be any simpler. Just take a fresh betel leaf, add carom seeds and a pinch of salt. Roll it up, chew and swallow it with a glass of water. But try to use fresh, tender betel leaf for the remedy and this remedy can be used for children too. This remedy gives instant relief, why take antacids, when you have such easy and effective home remedies? Betel leaf is very good for treating cold and the best way to use betel leaf for treating cold is by making a kashayam with it. Any herbal extract that is used for treating illness is called kashayam and it can be very elaborate or very simple like this betel leaf kashayam. Usually kashayam is made by boiling the herbs with the water but for this remedy we need fresh extract. It does not matter whether it is a simple recipe made with just 1 or 2 ingredients or with many ingredients, they always work their magic. 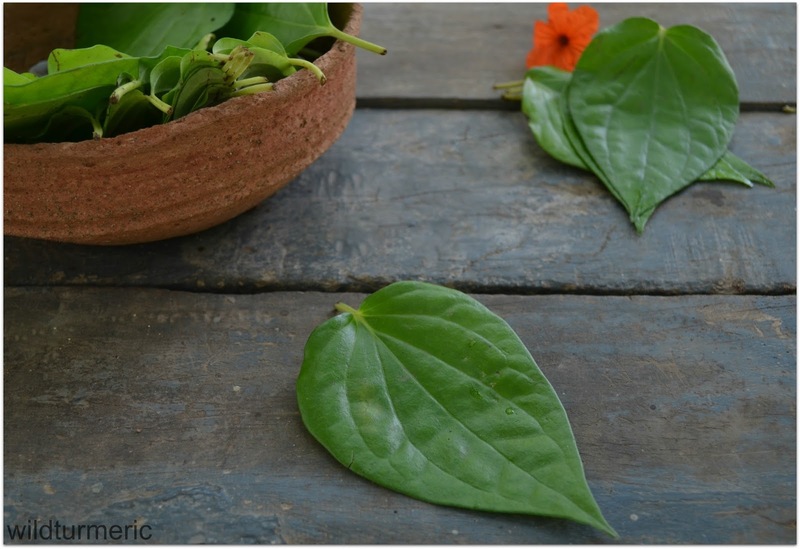 Betel leaf kashayam is simple to make and gives very good relief from chest congestion. 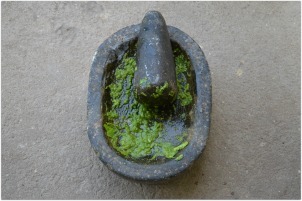 To make the kashayam, take a single betel leaf and grind it along with boiled water in a mixer and extract the juice. To this juice add a pinch of pepper powder and a pinch of dry ginger powder. Your kashayam is ready, for children above 3 years 1 tsp of this kashayam will give good relief from chest congestion, for adults 2 teaspoons will work well. But please remember that betel leaf juice by itself is very spicy so add just a very small pinch of pepper and dry ginger powder. Betel juice can be used for external application for treating chest congestion due to cold in babies. For that take 1 tsp coconut oil | mustard oil in pan and add a small piece of camphor to it and let it dissolve. 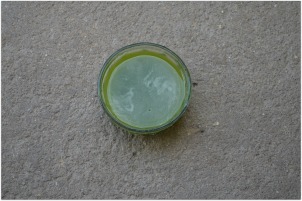 Once dissolved, add 2 teaspoons of freshly extracted betel juice and mix well. Rub this mixture on the chest, this will greatly help in chest congestion. Like I mentioned before using betel leaf for treating headache has been done for many years. A lady worker from the neighboring farm will always have betel leaves stuck to her temples in the mornings during cold winter season. One day, when I asked her about it she replied that it prevents headaches since she has to get up early everyday even during winter season to milk the cows. This is the main reason I love home remedies, you can use it for months together without any side effects or any allergies! For headaches, you can either apply small pieces of fresh betel leaf on either side of the temples or the fresh extract which is more potent. To make the extract, grinding the betel leaf along with very little boiled water and extract the juice. Now add few drops of camphor essential oil to the extracted juice. Apply this mixture on temples to get good relief from headache. We can also boil the leaves in water and inhale the steam. Betel leaf and peppercorns are a magic combination and can be used for variety of reasons. This combination of betel leaf and peppercorns are so famous that you will find it mentioned in many books. When we are out in the garden or out trekking especially if you are a forest lover most of the time we don’t even realize what bit us. We only realize it few hours later when the itching or swelling starts. If it is very mild, it usually goes away within a few hours but if it is very severe, things could get very serious especially if there is no medical help near by. These are the times herbs come in very handy and sometimes can be life savers too. 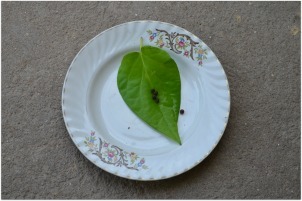 Betel leaf if had along with peppercorns acts as a natural antidote for minor insect poisons and can be really useful. 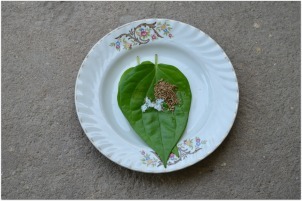 Take a single betel leaf and and place 4 to 5 peppercorns in the middle, fold to make a parcel, chew and swallow. This remedy can be given to young children too. You can also boil the two ingredients along with a cup of water till it is reduced to half, strain and use it as a home remedy for treating indigestion. 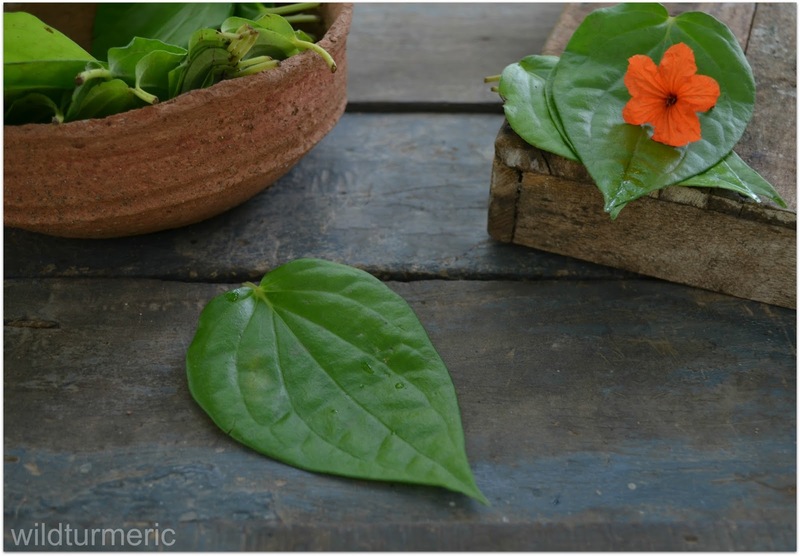 Since betel leaf is an antiseptic, it makes very good external poultice and can be used for treating pimples on the face, minor wounds and as a poultice for treating stomach pain in babies. For treating pimples, make a smooth, thick paste of tender betel leaves along with little boiled water and apply on the spots. 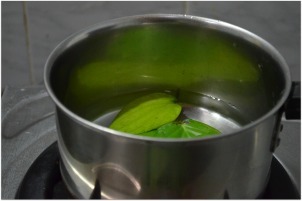 As a preventive measure, we can also make a face wash liquid with betel leaves by boiling the betel leaves in water and using that water to wash the face. This same liquid can be used for gargling for treating sore throat. Betel leaf juice (it should be thick) can be applied externally on the skin to treat skin diseases like psoriasis and eczema. Betel leaf can be used for babies to treat stomach pain due to heat. We always massage the lower abdomen with pure castor oil for it, we can also smear castor oil on a betel leaf and warm the leaf over a lamp and apply the warmed leaf over their abdomen. This compress is very comforting to the babies, but please be very very careful about the heat, check every single time on yourself before applying the leaf on the babies as it is easy to overheat the leaves. Ramya my daughter feels cold easily. In summers also she needs a blanket sometime. Can you find the reason and cure. Regards Ekta. Ps how are you. Posts have been good. Got a betel leaf plant for my home just a month ago. Gave my daughter a methi leaf bath but the shavings of leaf are in the hair. How do you take them off. It falls off later but in the bath how do you take care. Dear Ekta, I am good, thank you and am very glad that you like the posts. I would suggest increasing her immunity by making her eat a balanced traditional diet and exercise everyday. It will be hard to take it off during bath, I would suggest using tender leaves for the mask, so you can make a fine smooth paste out of it. Hi RamyaI have bad body odour problem.I take bath twice daily.But as soon as I take the bath,I start sweating.Can you suggest me a remedy. Thanks a lot for all the information, its so useful! Can we apply betel leaves mask on our face everyday to cure acne? Would it be too drying or cause any adverse effect? Your advise would be much appreciated. Betel leaves is very safe and will not cause any side effects when applied on the skin. But each one of us react differently with herbs, I would suggest trying it for a few days and see how your skin reacts. I would also suggest using turmeric and basil face pack from the blog, it gives very good results for acne..
can you please explain how to use betel to make psoriasis to go into remission? i also would love to know how to use this to strengthen lungs. can i eat a leaf daily? would there be any side effects? Dear Madam,Thanks very much for your time and effort for bringing useful information about various herbs in these posts. HiMy baby is 2 months old n weight is about 3.5 kgs.. she had cough n cold. Was done neublization n gave medicine abt 5 days. Still she cough sometimes.. pls tell me wat to do ? these are eaten raw. how to ensure they are safe to eat? i once ate one raw and plain and got fever and the chills. perhaps they were steamed or boiled prior to consumption? like anything raw and uncooked there is some risk of infection. I have heard about people treating young kids who are very skinny, slim kind and don't put on weight by using chewed betel leaf and applying it on the backbone and immediately fine worms are seen coming out of the vertebrae. After removing those worms, Kids are doing fine. Have you ever heard of any treatment like it by betel leaf. Please suggest. somebody has recommended for my 6 yrs son who's thin and skinny..
Betel nuts are scientifically shown to control blood sugar. That was probably the reason for our ancestors using betel leaves with betel nuts after a heavy meal both for improving digestion as well as control the blood sugar levels! Hi I am suffering from hemmorodes on and off from last 10 years,can you suggest some remedies please,I eat balanced Indian vegetarian food. My wife is 5 months pregnant and suffering with cold and running nose for the last 2 days. Is there home remedy available for ur. Hi madam, saw ur posts while searching remedies for stopping my heavy menstrual bleeding..Great info. I need home remedies for stopping my bleeding. It's heavy from past 5 days.it started after 15 days of my periods. Spotting was there for 10 days..And I took tablets as suggested by Dr.But it's increased after that from past 5 days and I decided to go with home remedies..Pls. help. Hi I want to share a home remedy for cold and cough for small kids.Add mustard oil and pound some garlic pods and heat it together, one can add kaljeera and a bit of ajwain too. Heat it till garlic turns brown. Remove from fires and strain it. Massage this oil in the back portion of the child but don't massage on chest. Why it is mention at some sites that betel leave should not be consume by people with migraine problem? My grandmother used to eat betel leaves every day, and indeed although old, still strong teeth to chew food because it often takes a betel leaf. The benefits of betel leaf is so much, so I am interested to consume it directly, it can be done? I have brown discharge and spotting immediately after menses and has been ongoing for 1 week and more. Someone suggested boiling betel leaves in water and drink it. Is it useful? Would you recommend other remedy? I have been having a headache since two weeks, at the back of my head , believe due to stress. On advice been consuming betel leaves since yesterday. Is there any better method of using the leaves for tension headaches? I would be grateful if you could suggest a remedy.